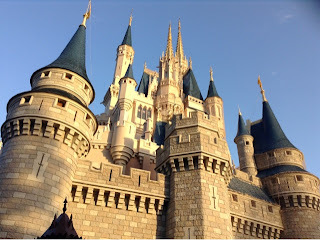 I shot this close up of Cinderella Castle during Christmas week. I used a new iPad mini and the camera seems to do a nice job with subjects illuminated by the sun. 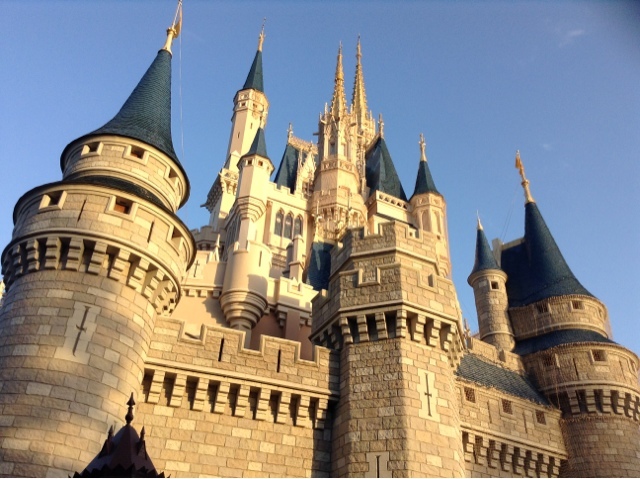 As you can see, this is the normal "look" of Cinderella Castle. However, there was a time when this icon was decorated to look like an 18 story birthday cake. To celebrate the 25th anniversary of Walt Disney World, the castle was transformed into this giant pink cake back on October 1, 1996. It was quite a sight, but most Disney nostalgics were not big fans of this major change and hoped it would quickly return back to normal. It stayed in its pink form for more than a year. On this day, January 31st in 1998, our beloved Cinderella Castle was returned to "normal."